Dead Poets Society. Touchstone Pictures 1989. 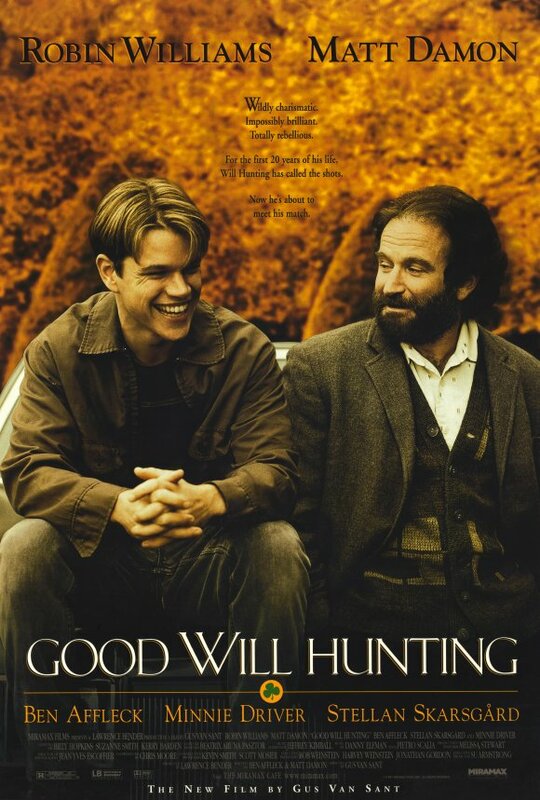 Robin Williams has done a lot of feel-good movies, but none seem to have the reputation for soaring inspiration that this one does. Sure, it’s all about a teacher trying to inspire his students, but I can think of other movies about Williams’s character inspiring others. Maybe it’s that this is the most quotable, but the main quote I know is a cliche. 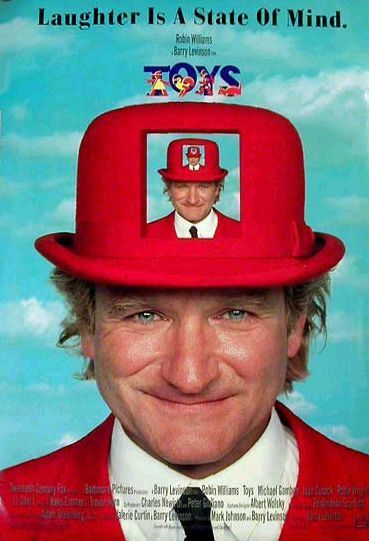 One thing that’s becoming apparent to me is how little of his work I was actually familiar with when I was in the height of my appreciation for Robin Williams as an actor. Yet another that’s been sitting on my list forever, continuing what will hopefully be a trend for the next few weeks. I first saw this on a library shelf what seems like millennia ago. It probably was last millennium, actually. 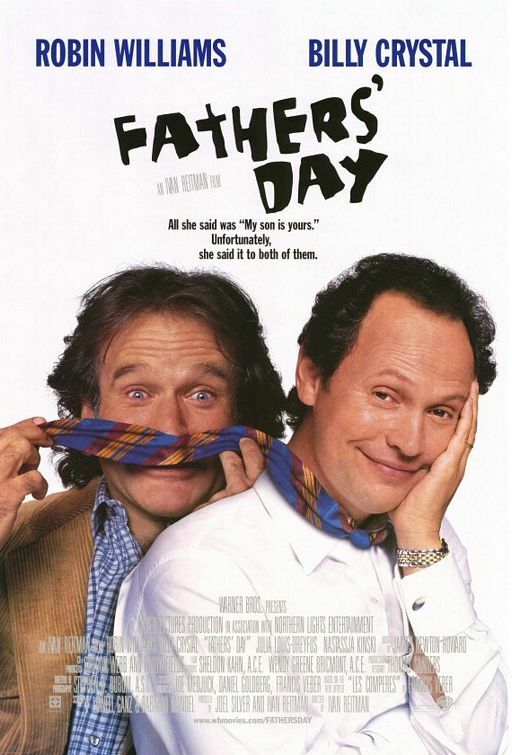 I recall it was during my period shortly after connecting the Robin Williams from Flubber to the voice of the Genie in Aladdin and deciding I wanted to see everything he’d ever done. That came to a halt long before I came close to doing that, though, which is why I can review this now. Why didn’t I take it from the shelf then? I think the idea of building toys to go to war gave me a sense it was darker than I wanted, and also I was probably under the age of 13. We took “Parental Guidance, possibly inappropriate for children under 13” very seriously in our house. I did sneak Jakob the Liar once sometime when I was twelve. I probably would have been better off with Toys. I’m kind of glad I didn’t see it then, though. Not only is it going to provide me with review fodder now, but I’ve also lately been revisiting some things I saw at a very young age and musing on how I wasted my First Watch of them when I wasn’t capable of appreciating the subtleties of storytelling and acting. And I wouldn’t have known who Michael Gambon was then. Good Will Hunting. Miramax Films 1997. This movie is one I’ve been only vaguely aware of. I don’t know much more about the plot than “brilliant janitor”, and until I saw it categorized, I wasn’t fully sure it was a drama (I was just going by the rule I think was proposed by Family Guy: if Robin Williams is wearing a beard, he thinks it’s a serious role. This has been sitting around my digital shelf for a while, but its pending expiration has pushed me to go ahead with it. Also it’s been on sale where I work for weeks, whispering to me. The Best of Times. Kings Road Entertainment 1986. This is an interesting approach to a nostalgic high school sports movie. Normally, such a movie would either actually have high school characters through whom the writers and audience can wax nostalgic, and the main stories I’ve seen where adult characters want to recapture their youth, either they just reconnect with old friends or time travel is involved. Here, a bunch of adults stage a rematch of The Big Game as adults, around fifteen years later. They’d be in their late 20s/early 30s by my reckoning, so they should still be young enough to do it decently, but not as well as they used to. Before I did the numbers, I was expecting late 40s, old enough to be firmly in middle age and midlife crises. Not that I was a star athlete in high school, but I’m now realizing the ages I can expect to see are basically what’s coming up next for me. That’s a chilling thought to go into a comedy with. Moscow on the Hudson. Columbia Pictures 1984. Here’s another movie about which I know absolutely nothing, found through automated recommendations. 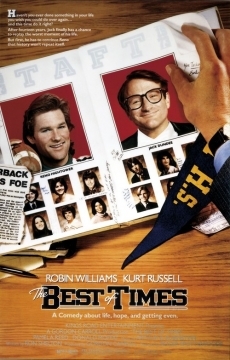 On the one hand, it’s Robin Williams in the 80s, so it could be a wacky fish out of water comedy. On the other, they say that when Robin Williams wears a beard, he thinks it’s a serious film. I’m getting vibes of The Terminal and Being There, a pair of movies very unlike each other. 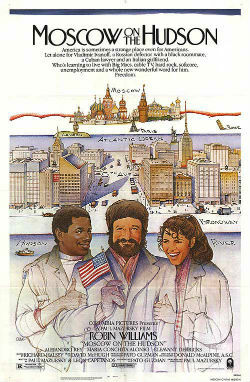 What I’m ultimately expecting is a comedy with a lot of warmth, patriotism, and jokes stolen from Yakov Smirnoff. Oh look, yet another Cold War movie. I seem to have grown up from World War II into the next big one.